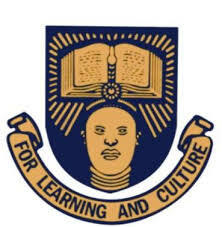 The Obafemi Awolowo University, OAU Admission List for the 2018/2019 Academic Session has been released and published on the college’s portal. WE are using this medium to inform the members of the general public and all the candidates who applied for admission into the Obafemi Awolowo University, Ile-Ife for the 2018/2019 Academic Session that the Merit Admission List of candidates who are admitted into the University has been released and uploaded online. As at the time of writing this report, the Obafemi Awolowo University UTME admission list has not been uploaded on the official portal of the Institution, but it is available on the Joint Admission and Matriculation Board (JAMB) Central Admission Processing System (CAPS) portal. To check your name on JAMB CAPS, Click Here (Note: You are required to “Accept” or “Reject” the admission offer on the portal). Step 2: On the page that loads up, enter Admission Year and Jamb Registration Number in the space provided. Step 3: Click on the “Submit” button and your admission status will be displayed on your computer screen. Please see the link below for how to go about your acceptance fee payment. All the candidates who sat for the OAU Post UME Screening Test can now check their admission status on JAMB website. step 1. You can check your admission status by CLICKING HERE. step 2. When the page loads up, enter your JAMB Registration Number. step 3. Then click on the “Check Admission Status” button. Please click on the twitter and Facebook Like button to share this news with your friends.